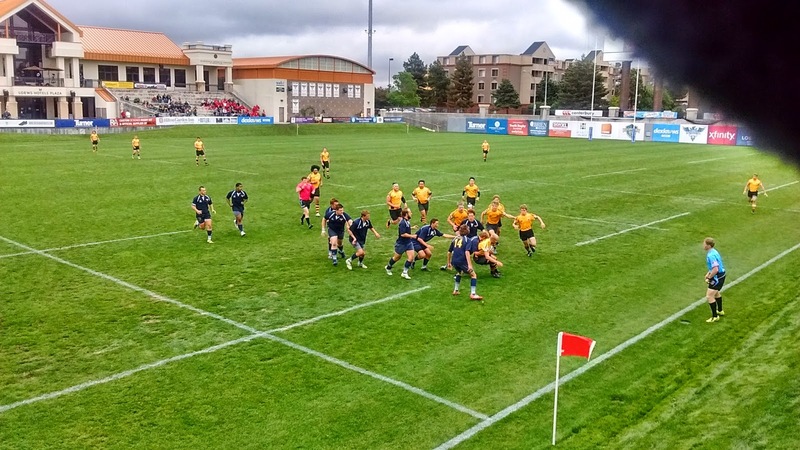 With a chill and blowy wind affecting the path of anything airborne: pass, kick or catch, Fort Collins just outpointed Titans for the Rugby Colorado Division-2 Championship Crown Saturday on slippery stadium turf at Infinity. The Parker XV were never in the lead, yet always within close distance, and it was there for them at the death, though the boys from the Fort held out for the championship win at end of the day. Much action between the 22s as the sides battled for possession at breakdown and attempted to run their patterns with ball in hand, but conditions negated the free-flowing form of rugby both sides espouse, and zeroes the tallies in the 20th minute of action until a looker popped ahead by the Titans flyhalf was taken at pace by Fort fullback Tyler Harper on the gallop – 60 rapid meters later and his touch down had provided Fort Collins with a 5-0 lead. With Fort Collins controlling possession, inside center Ben Freeman broke to space through the first channel at Titans ten-meter line, shirked a stop, fended another and finished forty fast for the try and flyhalf Emmet Pritchard’s conversion; a dozen the lead for Fort with 29 gone from referee Steve Gore’s clock. Titans kicking game was not working as balls propelled to space found, instead, the pulsating countering capability of Fort Collins fullback Harper and his searing returns into the Parker club’s territory help keep that side in 12-nil arrears at Gore’s halftime signal. With Titans hard at it after restart, down into Fort’s 22, a series of forwards smashes out of the loose followed by swift, tight interior passes to wing Mike Tombre on the short side of the field; Tombre’s cutter back inside split the defense and his subsequent grounding, along with the added pair of points from flyhalf Josh Lyons upon the try’s conversion, and the Fort Collins lead had been sliced to a nickel at 12-7, eight minutes into the second stanza. Fort extended its margin when flyer Chase Etter backed himself to space, and finished a fast forty meters along touch, stepping inside to cross-and-ground; 19-7 the tallies midway through the second half. Titans closed the gap five minutes on as scrumhalf Keegan Anderson finished a series of inclose pick-and-goes with the try completed by Lyons and 19-14 for Fort just now. Immediate response from Fort Collins: outside center, Devon Worrell, poached a pass at the Titans 22, slipped a tackle into space and closed the deal with a try converted by Pritchard, and one dozen the Fort Collins lead in the 51st minute at 26-14 and the sands fleeing fast now. Titans drew within a converted score with two minutes to go when inside center Adam Murikana broke to space, crossed and dotted for 26-19 tallies and gut check time for the house now. 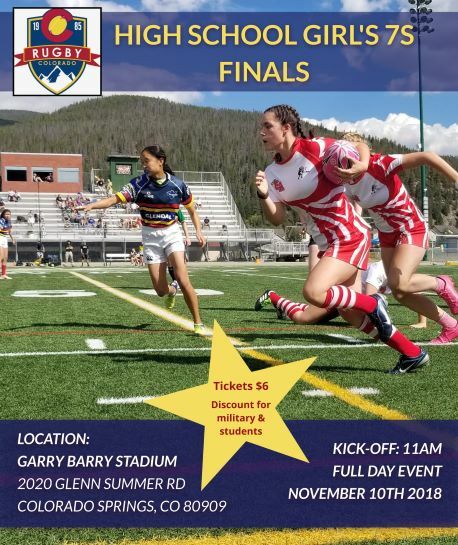 Titans would score the final points with scrumhalf Anderson grounding his brace in injury time, but a wayward conversion attempt meant 26-24 final digits and a Fort Collins D-2 title at Gore’s last blast.